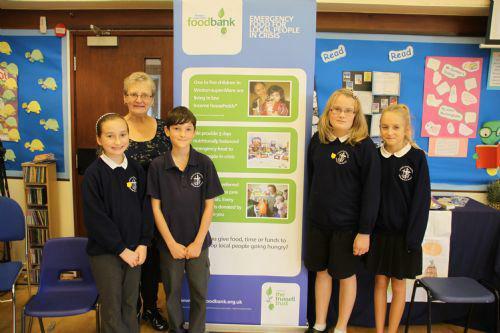 This year as part of St Mark's Harvest Festival celebrations the school council worked with the Weston super Mare food bank. All of the food donations made were passed on to the charity. Carol, one of the volunteers, came in to talk to the children about the work that they do and of the plight of some families in our area. A big 'Thank you' to all who donated the food. It was gratefully received.